It was an electrifying night at Ecker pool Wednesday night as Park City Varsity Boys and girls Water Polo hosted Kearns. 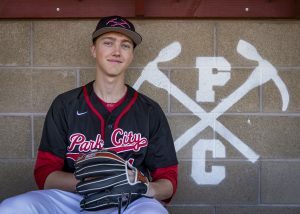 Kerans and Park City have been trading off wins to determine who is the best of Utah for the past four years. 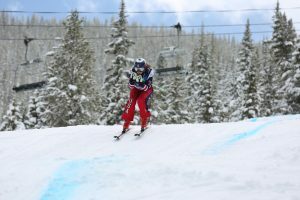 With Kearns winning the last two meetings handily against Park City last fall, it was time to see how well each team tuned up over the winter months. The boys game started out with Kearns taking a two point lead right away, putting Park City in the hole, trying to find ways to score against their all-star goalie. After the first quarter it was Kearns 3, Park City 1. Hoping to cut down the lead in the second, the opposite happened with Kearns extending the lead to 6-2 leading into halftime. It seemed Kearns was on its way to another easy victory. However things changed in the third quarter with Park City finding its way with a flurry of scoring through strong center play by Nick Obradovich, who scored multiple times, and crucial outside shooting by Jack Troxel and Braden Horton. At the end of the third it was Kearns 11, Park City 10. The Miners had cut the lead to one point. In the fourth quarter, Park City surged and went up by two with an outside laser by freshman Jackson Bryson and a desperation skip shot by Jack Troxel as the shot clock wound down to zero. Now, Park City Miners had their first lead of the night at 14-12 with 2 minutes remaining. Both teams were desperate to score in the final minutes with a bombardment of shots by Kearns and stellar defense that found the two teams deadlocked at 15-15 at the end of regulation. Park City won the opening sprint and was awarded an ejection of one of the Kearns players, so now the Miners were up six players to five. It was a perfect situation where Park City could put away Kearns with a sudden death goal. But Kearns defended well and took the ball down the pool where their best shooter posted up and sneaked one in for the final goal. Park City lost 16-15. It was by far one of the bet games of the year, filled with drama and excitement. Park City will meet Kearns at least three more times this year. The state tournament will be in May to determine who is state champ. It’s clear Park city has closed the gap. They are a young team with only one senior, four juniors, one sophomore and five freshman seeing ample playing time. Two freshman are currently part of the starting seven for Park City. It’s going to be an exciting rest of the season to see how the two teams finish. Kearns and Park City Varsity Girls have also been trading off yearly state titles over the last few years. The Park City girls Varsity lost 8-6 Wednesday night. They were down 7-2 at half, so they mounted a great comeback but the lead was just too large to overcome. The girls team also saw improvement as they lost to Kearns last month 9-5.